Known as the premier global space conference - the 33rd Space Symposium, held April 3 - 6, in Colorado Springs, Colorado, will convene space leaders to discuss critical issues affecting all space sectors. The Symposium is considered the "must attend" event of the year for making critical and profitable connections. On December 2016 Mark Hopkins, CEO of the NSS, was invited by NASA administrator Charles Bolden to attend a Holiday Reception at NASA Headquarters in Washington DC. 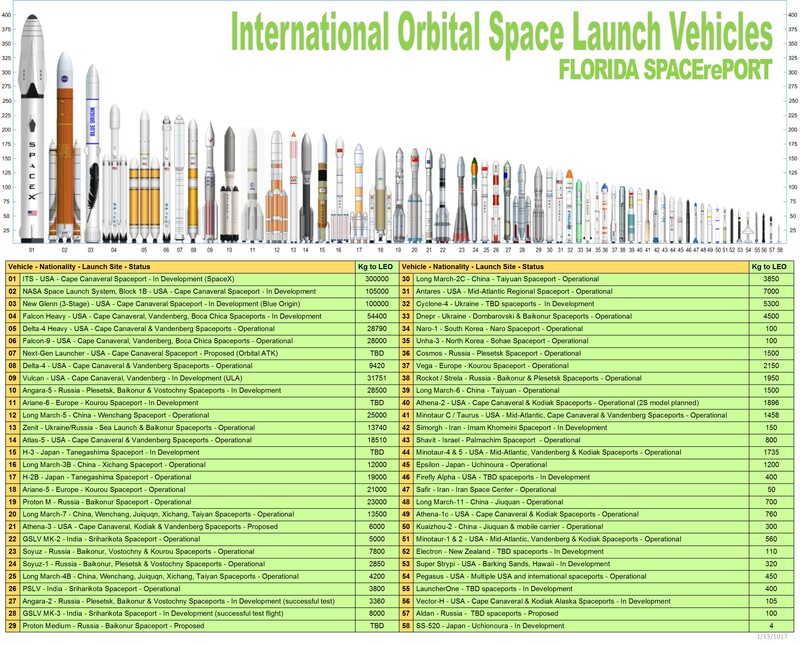 There were representatives of many national and international space agencies, including NASA, Boeing, SpaceX, Blue Origin, ESA, JAXA, and others. Everybody there was in a holiday spirit and were networking in a laid-back atmosphere. Mark Hopkins spoke to various members of the space industry to promote NSS activities and seek for possible sponsors and partners for futures ISDC and Space Settlement Summits. Most people show admiration for NSS as a leader in promoting space and STEM education for both the youth and lay public. At the same time, Mark Hopkins was invited to join special guests Taraji Henson, Octavia Spencer, Janelle Monae, Kevin Costner, and Pharrell Williams for a screening of HIDDEN FIGURES at the National Museum of African American History & Culture in Washington DC. After the screening, there was a reception and further opportunity to network with the space art and education community. All these invitations highlight the respect and acceptance that NSS has acquired as a key space movement organization. The Enterprise In Space Orbital Debris Mitigation Student Competition is expected to launch student experiments that will support a new technology for orbital debris mitigation or develop new experiments for orbital debris detection. The competition, which started December 1st, 2016, is being led by Global Aerospace Corporation (GAC), the leading organization in charge of the Enterprise Centre for Excellence in Space Orbital Debris Detection and Remediation. The competition is organized in different phases, at the end of which the best experiments will fly to space. GAC is managing the competition, supervising the students, and will select the best experiments. The experiments will support the Gossamer Orbit Lowering Device (GOLD) inflatable deorbit system or will perform orbital debris detection and tracking. Students from universities are invited to compete by submitting to GAC their ideas and proposals for experiments on the GAC Debris Mitigation CubeSat. The student projects will be self-funded. GAC will monitor the students and their projects as the experiments are designed and built. During the mission, students from universities, and possibly high schools, might be involved in many ways: for example, by tracking the CubeSat and predicting its orbit. ISDC 2017 will be rockin’ from 9am until midnight May 25th-29th with plenary sessions, break-out sessions, lunch speakers, dinner events, receptions, a huge Exhibit Midway, music, and infotainment. To kick off the infotainment events, we will show the documentary Fight for Space on Thursday, May 25th and host an interactive panel discussion about the contents of the documentary. Director and writer, Paul Hildebrandt, will be on the panel and several interviewees will be in attendance. On Friday, May 26th, the STEAM Screening of short films created especially for ISDC with the theme “Spirit of Exploration and Discovery” will premiere. These films were created under the direction of Frank Pietronigro and Zero Gravity Arts Consortium. Stay tuned for Saturday night’s infotainment event! Students, you can 3D print something in space. 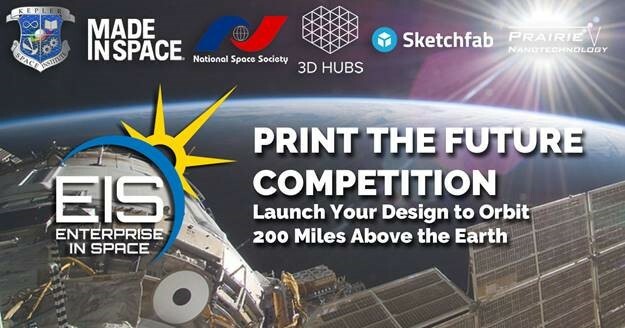 Help drive innovation forward in space manufacturing technology by entering the Print the Future Contest. Click here for more information. 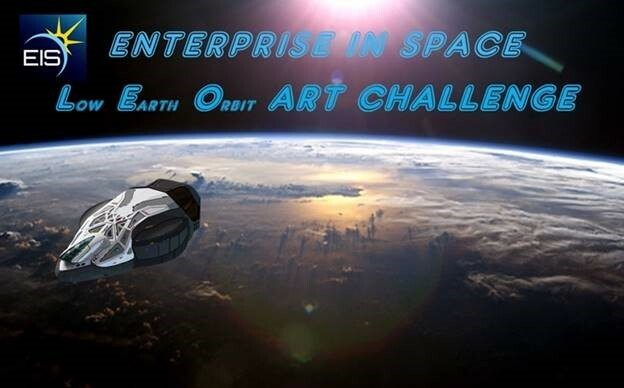 Students, Put Yourself Into Orbit with the LEO Art Challenge! Imagine and share with us the exciting environment of Low Earth Orbit in one of many ways. Are you ready for the next great adventure? To mark the first steps of the National Space Society's Enterprise In Space (EIS) program that will send over 100 student experiments into Low Earth Orbit (LEO), we are offering this worldwide search to find a group of kindred spirits to embark on this exciting adventure challenge. We want to see what a low Earth orbit adventure means to you! Imagine yourself as a professional engineer, designer, advertiser, writer, or artist that has been hired to create promotional materials about LEO and its environment. What topic or aspect about LEO would your choose to promote? What format would you use to present it to your customer? Show us, and you could become part of history as one of the first groups of students to win the chance to virtually make this incredible journey into low Earth orbit. You can be one of the first EIS virtual crew members! See more about the challenge here. 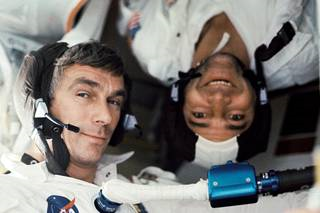 Gene Cernan, the Last Man to leave our "8th Continent" (the Moon—after Europe, Asia, Africa, South-, North-America Australia, and Antarctica) passed away on January 16, 2017 at the age of 82. Now the half of the 12 Moon-walking astronauts are still alive. In nine Moon missions, 24 men reached the Moon (three of them twice); 10 of them are dead now. In this list you can see who they were: Apollo 8, 1968 orbital mission—Borman, Anders, Lovell; Apollo 10, 1969 orbital mission— Stafford, Young, Cernan; Apollo 11, 1969 first landing—Armstrong, Aldrin, Collins; Apollo 12, also a 1969 landing—Conrad, Bean, Gordon; Apollo 13, 1971 could not land, but got farthest past the Moon—Lovell, Haise, Swigert; Apollo 14, 1971 landing—Shepard, Mitchell, Roosa; Apollo 15, 1971 landing—Scott, Irwin, Worden; Apollo 16, 1972 landing—Young, Duke, Mattingly; and Apollo 17, 1972 (last) landing—Cernan, Schmitt, Evans. 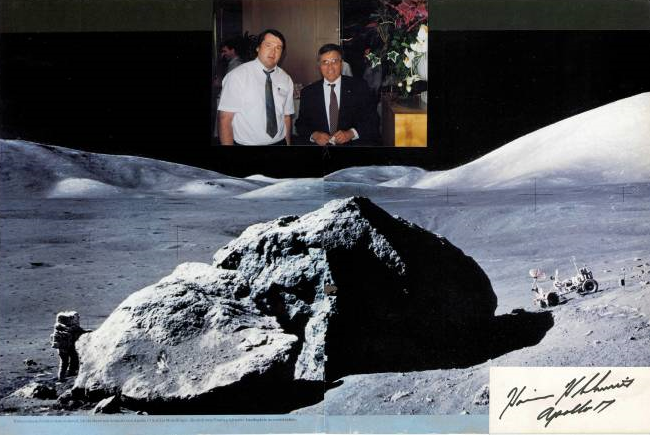 I myself [Stennecken] had no opportunity to meet Cernan, only years ago his partner of the Apollo 17 mission, Jack Schmitt, the Last Man to enter the Moon and also the only professional scientist to walk on the Moon so far. Whatever we leave – Moon or Earth –we hopefully can say "We came in Peace for all Mankind." Jim Merriman’s interest in space started early, with the 1959-60 TV show Men into Space, and a “Man in Space” Disney Comic book he found at Sears when he was nine. Three years later, he had a friend show him how to make rockets. After joining the Air Force, Jim found a copy of Space World magazine (Ad Astra’s predecessor) in the base library and subscribed. There he learned about the National Space Institute, joined, and remained a member on and off as NSI combined with the L5 Society to become the National Space Society. In the 1980s, Jim enjoyed Space Week activities as an active member of the original St. Louis Space Frontier. Attending his first ISDC in 2010 inspired him to push for a St. Louis ISDC. After a 2012 visit to Mike Mackowski (one of the original St. Louis Space Frontier organizers), Jim helped organize the new St. Louis Space Frontier NSS chapter. Now serving on their board of directors, he has helped with outreach and with planning their regional “Gateway to Space” conferences. He also serves as treasurer and board member of The Space Museum in Bonne Terre, Missouri, where he gives tours to visitors, does public outreach, and helps archive space artifacts and memorabilia. Currently Jim is extremely active as one of the volunteers working—at last!—on programing and tours for the 2017 St. Louis ISDC. That’s the kind of service that keeps a chapter active! Non-Fiction: Hidden Figures, by Margot Lee Shetterly, reviewed by Mark Lardas. The book behind the current motion picture about the black women mathematicians who helped win the space race. Don't forget to check the archives for books you may have missed, including some classics. Use the "MORE" links to read over 300 reviews of nonfiction, fiction, and children's books. Our Vision: People living and working in thriving communities beyond the Earth, and the use of the vast resources of space for the dramatic betterment of humanity. The National Space Society has unpaid positions described at the link above. If you are interested and have the necessary skills, please respond. Please send requested information to Help-Wanted-2015@nss.org.